WordPress has functions that get the date or time of a post, comment, or something else: the_date(), the_time(), mysql2date() etc. You can pass a format to each of these functions to get the time or date in the desired format. This post shows how to get desired format and which character in the specified format are responsible for what. Displays the date as: 25 March 2018 12:33. Now, let's look at all the special characters that can be used in the format. 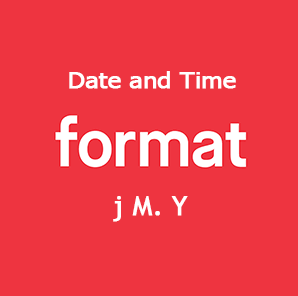 The formats from the table are the PHP standard and can also be used to format dates in PHP, for example using a function date(). Post was published at <?php the_time('j F Y H:i') ?> and was placed in categories <?php the_category(', ') ?>. Post was published at 25 March 2018 12:33 and was placed in categories WordPress, Codex. All WordPress functions for working with dates and times. To translate strings in a date like "November" to the language of the site, use function date_i18n().